Commercial-grade files to meet your long-lasting needs. Spring-loaded follower block in each drawer keeps files upright and neat. High drawer sides add strength and serve as front-to-back hangrails. Thumb latch keeps drawers safely closed. Label holders for quick and easy identification of contents. HONÂ® ''One Key'' core removable locks. Steel ball bearing suspension. 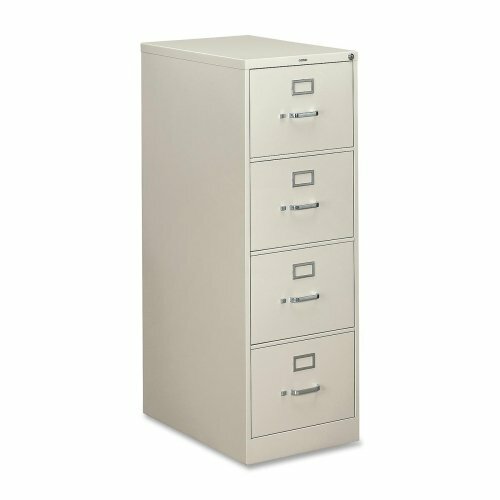 Steel 26 1/2'' deep ball-bearing suspension vertical file with thumb latch on drawer. If you have any questions about this product by HONÂ®, contact us by completing and submitting the form below. If you are looking for a specif part number, please include it with your message.